1866 - instituted in 1866 for saving life at sea, named after Queen Victoria’s husband, two Classes, the 1st in gold and 2nd in bronze (ribbon colours and sizes changed through its history). 1877 - also granted for saving life on land. 1917 – titles changed to Albert Medal in Gold (formerly 1st Class in gold) and the Albert Medal (formerly 2nd class bronze). 1949 – Albert Medal in Gold replaced by George Cross. Albert Medal only awarded posthumously in Bronze. 1971 – Albert Medal ceased and living recipients invited to exchange Albert Medal for George Cross. This Medal was instituted in 1907 for miners and quarrymen, and in 1909 extended to industry in general. There is one example of the award of the Edward Medal for bravery on board a ship in this list. Like the Albert Medal, it was discontinued in 1971 and living recipients invited to exchange it for the George Cross. On the 19th August, 1915, an aeroplane piloted by the late Captain C. H. Collet, D.S.O., R.M.A., was ascending from Imbros Aerodrome, and had reached a height of 15ft feet when the engine stopped. The machine was upset by the powerful air currents from the cliffs, and fell vertically to the ground, while the petrol carried burst into flames which immediately enveloped the aeroplane and pilot. Chief Petty Officer Keogh, upon arriving at the scene of the accident at once made an attempt to save Captain Collet by dashing into the midst of the wreckage, which was a mass of flames. He had succeeded in dragging the fatally injured officer nearly clear of the flames; when he was himself overcome by the burns which he had received from the blazing petrol. The KING was pleased, on Wednesday, the 17th instant, at Buckingham Palace, to present to Chief Petty Officer Michael Sullivan Keogh, R.N.A.S., late of H.M.S. Ark Royal, the Albert Medal of the Second Class which was conferred upon him for gallantry in endeavouring to save the life of Captain C. H. Collet, D.S.O., R.M.A., on the occasion of an aeroplane accident at the Island of Imbros on the 19th August, 1915. Full particulars are set forth in the notice appearing in the London Gazette of the 14th January last. On the morning of the 26th October, 1915, the Orderly Officer on duty at the Bassin Loubet, Boulogne, was informed that a fire had broken out in the after hold of the S.S. Maine, Ammunition Ship, in which a quantity of high explosives was stowed, and he at once reported the fact to Lieutenant-Commander Warden, at the Office of the Naval Transport Officer. In the meantime the ship was abandoned by her officers and crew, and steps were taken by the local fire brigade to rig the shore fire hoses. Lieutenant-Commander Warden immediately proceeded on board, and on arrival at the after hold found smoke issuing from between the high explosive cases in the centre of the hatch. He went down into the hold, lifted up one of the cases, and called for the fire hose, which was passed to him by Private Edward Gimble, 1st Battalion, Middlesex Regiment, who had followed him on board. This case, and the one next to it, were alight on their adjacent sides. Lieutenant-Commander Warden played the hose on them and extinguished the fire. Subsequent investigation showed that the fire was in all probability due to the ignition by friction or spontaneous combustion of amorphous phosphorus, which had leaked from boxes containing that substance stowed above the cases containing the high explosives. The KING was pleased, on Wednesday, the 10th instant, at Buckingham Palace, to present to Private Edward Gimble, 1st Battalion, Middlesex Regiment, who was home on leave from France, the Albert Medal of the Second Class, which was conferred upon him for gallantry in saving life on the occasion of an outbreak of fire on the Ammunition Ship Maine at Boulogne, on the 26th October, 1915. Full particulars are set forth in the notice appearing in the London Gazette of the 18th April last. During the violent gale and snowstorm on the night of the 28th March, 1916, the whaler of H.M.S. Melpomene, with a crew of six men, was driven by the blizzard on to the mud about of a mile up the river above the Parkstone Jetty, Harwich. Lieut. Startin, on hearing that the whaler was missing, set out alone to search along the river bed. After wading through deep mud, at times up to his armpits, for a distance of about 300 yards, he eventually found the whaler, half full of water, aground on the mud, with her crew lying helpless in the boat, having given up all hope of being rescued. He only succeeded in rousing them by beating them with his stick, one man having to be forcibly dragged all the way to the shore by Lieut. Startin and the coxswain of the boat. After dragging him for about an hour, a distance of about 40 or 50 yards had been covered, when a light was seen moving inshore. Lieut. Startin ordered the crew to remain where they where whilst he went to the light, which proved to be carried by a search party with a rope. This rope was taken backwards and forwards personally by Lieut. Startin from the shore to the boat's crew until each one had been rescued, this exhausting and dangerous task in the deep mud being performed under the most trying weather conditions. All the crew were thus saved, though one afterwards died from the effects of exposure. At Blandford, on the 16th June, 1916, during grenade practice, a live bomb thrown by one of the men under instruction fell back into the trench. Petty Officer Place rushed forward, pulled back two men who were in front of him and attempted to reach the grenade with the intention of throwing it over the parapet. Unfortunately the bomb exploded before he could reach it and inflicted fatal injuries. By his coolness and self-sacrifice Petty Officer Place probably saved the lives of three other men. During the transhipment of the crew of H.M.S. Warrior to H.M.S. Engadine on the morning of the 1st of June, 1916, succeeding the naval battle off the coast of Jutland, one of the severely wounded, owing to the violent motion of the two ships, was accidentally dropped overboard from a stretcher and fell between the ships. As the ships were working most dangerously, the Commanding Officer of the Warrior had to forbid two of his officers from jumping overboard to the rescue of the wounded man, as he considered that it would mean their almost certain death. Before he could be observed, however, Lieutenant Rutland, of H.M.S. Engadine, went overboard from the forepart of that ship with a bowline, and worked himself aft. He succeeded in putting the bowline around the wounded man and in getting him hauled on board, but it was then found that the man was dead, having been crushed between the two ships. Lieutenant Rutland's escape from a similar fate was miraculous. His bravery is reported to have been magnificent. On the 25th August, 1916, Lieutenant Neale was conducting certain experiments which involved the projection from a Stokes Mortar of a tube containing flare-power. An accident occurred rendering imminent the explosion of the tube before leaving the mortar which would almost certainly have resulted in the bursting of the mortar with loss of life to bystanders. Lieutenant Neale, in order to safeguard the lives of the working party, at once attempted to lift the tube from the mortar. It exploded while he was doing so with the result that he was severely injured, but owing to the fact that he had partly withdrawn the tube from the mortar no injury was caused to others. The KING has been graciously pleased to confer the Decoration of the Albert Medal of the Second Class upon Mr. Joseph Conolly, Third Engineer of the steamship Vanellus, of Cork. On the 1st October, 1916, the steamship Vanellus, of Cork, struck a mine in Havre Roads, and the vessel, which was laden with petrol, immediately burst into flames. Owing to the rapidity with which the flames spread it was impossible to clear away the boats, and most of the crew jumped overboard. Three lives were lost by the casualty. Although the engine-room telegraph was broken by the explosion Mr. Conolly remained at his post in the engine-room until everyone else had left the ship. He kept the engines working astern, and thus made it possible for a lifeboat to be lowered on the port side, and by this means a number of lives were saved. Before finally leaving the ship he again went below and stopped the engines. Mr. Conolly was badly burnt in rendering the services. Michael Joyce, Engine Room Artificer, 3rd Class (now Acting Chief Engine Room Artificer, 2nd Class), O.N. M 1400. Walter Kimber, Stoker Petty Officer (now Chief Stoker), O.N. 307820. H.M.S. 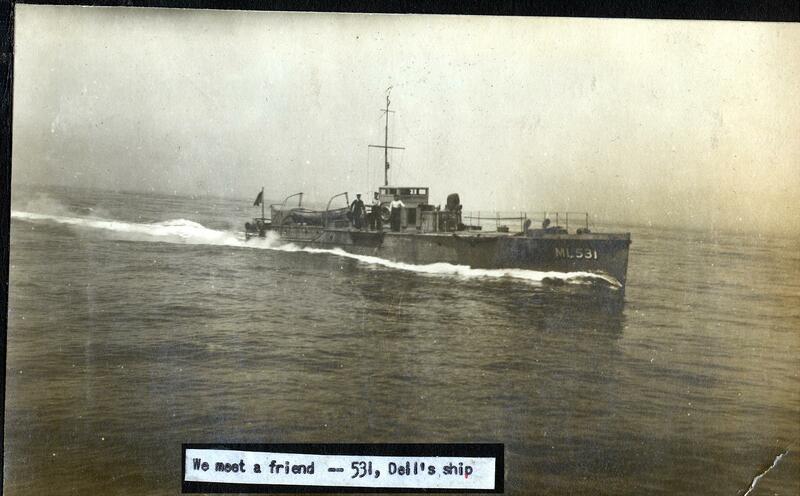 Zulu was mined on the 8th November, 1916. As a result of the explosion the bottom of the after part of the engine room was blown out, and the whole compartment reduced to a mass of debris and broken steam and water pipes. Immediately after the explosion Joyce and Kimber proceeded to the engine room, the former having just come off watch. The latter had just left the boiler room, after he had seen that the oil-burners were shut off and everything was in order, and had sent his hands on deck. Hearing the sound of moans coming from inside the engine room, they both attempted to enter it by the foremost hatch and ladder. As the heat in the engine room was intense and volumes of steam were coming up forward, they then lifted one of the square ventilating hatches further aft on the top of the engine room casing (port side) and climbed into the rapidly flooding compartment over the steam pipes, which were extremely hot. Scrambling over the debris, they discovered well over on the starboard side Stoker Petty Officer Smith, with his head just out of the water. A rope was lowered from the upper deck, and with great difficulty Smith, who was entangled in fractured pipes and other wreckage, was hauled up alive. At the same time Stoker Petty Officer Powell was found floating, in the water on the port side of the engine room. The rope was lowered again and passed around Powell, who, however, was found to be dead on reaching the deck. The water was so high that further efforts to discover the remaining Artificer left in the engine room would have been useless, and the attempt had to be abandoned. The KING has been graciously pleased to confer the Decoration of the Albert Medal upon Mr. James Campbell Hurry, master of the steamship Earl of Forfar, of Glasgow. On the 8th November, 1916, while the steamship Earl of Forfar, of Glasgow, was lying at Archangel, a fire broke out on a Russian steamship and spread to the Earl of Forfar, which was lying immediately ahead, Captain Hurry, who was on shore, attempted to return to his vessel, but he was unable to do so. He proceeded, however, to render assistance to other vessels which were in danger of being burnt. While doing so, he heard voices coming from his own ship, which was burning and exploding furiously. Calling for volunteers, he led them on board his steamer, and seven injured men were rescued, some of whom he personally carried to a tug. While thus engaged considerable risk was incurred by Captain Hurry, who had to lift several live shells from the deck of the vessel in order to get at the wounded. Within ten minutes of the last man being rescued the deck blew up. The KING has been pleased to approve of the award of the Albert Medal to Lieutenant (acting Lieutenant-Commander) Maurice MacMahon, R.N.R., for gallantry in saving life at sea. On the 8th November, 1916, a series of fires and explosions occurred at Bakaritsa, Port of Archangel. After the merchant ships had been got away from the wharves, cries and moans were heard from the direction of a 100-ton floating crane moored between the S.S. Earl of Forfar and the quay. The Earl of Forfar was on fire fore and aft, and it was obvious that any attempt to save life must be accompanied by the greatest risk, the ship having explosives on board and the quay abreast it burning furiously with intermittent explosions from small arm ammunition. Lieutenant-Commander MacMahon, without a moment's hesitation, volunteered to carry out rescue work, although other rescue parties considered that they had already done all that was humanly possible. In order to reach the floating crane it was necessary to cross the Earl of Forfar, the after part of which had blown up, whilst the forepart was on fire and the forecastle was a mass of smouldering debris. Hearing moans from under the debris of the forecastle, Lieutenant-Commander MacMahon, with the aid of the crew of a tug, cleared away the wreckage and discovered the mate, with one arm, one leg, and collar-bone fractured. This man was extricated and passed into the tug. Lieutenant-Commander MacMahon then proceeded on to the floating crane by means of a singe plank and rescued from beneath the debris of the crane the carpenter of the Earl of Forfar and two Russian subjects, part of the crane's crew. The KING has been graciously pleased to approve of the award of the Albert Medal to Captain George Parker Bevan, C.M.G., D.S.O., R.N., for gallantry in saving life at sea. On the 8th November, 1916, a series of explosions and fires occurred at Bakaritsa, Port of Archangel, on merchant ships and on the wharves. The S.S. Baron Driesen had blown up at 1 p.m. and part of the S.S. Earl of Forfar forty minutes later, and fresh explosions were expected every instant. It was thought that all their crews had either escaped or been killed or rescued, but after dark cries of distress were heard from the Earl of Forfar. The ship was a mass of flame at the time, and burning embers from the fire which was raging on shore were continually showered over her. She had a cargo of explosives on board and was abreast of the main conflagration. The flames were blown towards her by the wind, and the remaining portion of the ship was expected to be blown up at any moment. Captain Bevan, however, on hearing the cries proceeded on board, accompanied by Lieutenant-Commander MacMahon, and, hearing moans from under the smouldering debris of the forecastle, cleared away the wreckage and extricated the mate, who had an arm and a leg and his collarbone broken, and passed him into a tug. Captain Bevan displayed the utmost gallantry and disregard of his personal safety. A.B. Malcolm Thompson, for gallantry in saving life at sea. On the 8th November, 1916, a series of fires and explosions occurred at Bakaritsa, Port of Archangel, on merchant ships and on the wharves. The S.S. Baron Driesen had blown up at 1 p.m. and part of the S.S. Earl of Forfar forty minutes later. The latter ship, with a cargo of explosives, was on fire, and might have blown up at any moment, and explosions were continually taking place in the immediate vicinity. The ship was alongside the main fire on shore, and burning embers were constantly showered over her. Lieutenant Richardson, 2nd Engineer Watson and Able Seamen Henry and Thompson, of the Tug Sunderland, nevertheless volunteered to board the Earl of Forfar and effected the rescue of a considerable number of wounded and helpless men who would otherwise have perished. They displayed the utmost gallantry and disregard of their own personal safety in saving the lives of others. The KING has been graciously pleased to confer the Decoration of the Albert Medal of the First Class upon Mr. Peter Thomson, Second Officer of the steamship Polpedn, of London. On the 14th November, 1916, the steamship Polpedn, of London, was torpedoed in the English Channel, and rapidly began to sink. The crew had just time to get into the starboard lifeboat and cut the painter, the steamer's bridge-deck being then level with the water line, when the lifeline was found to be fastly coiled round Mr. Thomson's leg. Realising the danger of the boat being capsized, Mr. Thomson at once jumped overboard, thus freeing the boat, and allowing her to be pushed away as the vessel foundered. While under water Mr. Thomson managed to free his leg from the lifeline, and he was afterwards picked up by those in the boat. Mr. Thomson ran the greatest possible risk of losing his life, and by his self-sacrifice undoubtedly prevented serious loss of life. Acting Lieutenant Frederick William Weeks, R.N.R. On the night of Thursday, the 18th January, 1917, a member of the crew of one of his Majesty's Ships, when returning from leave, fell into the sea between the ship and the quay. The matter was at once reported to Acting Lieutenant Frederick William Weeks, R.N.R., to whom it was obvious that any attempt at rescue must be attended by considerable danger. The ship, which was kept clear of the side of the quay by spar fenders of only nine inches in diameter, was working to and fro with the slight swell entering the harbour. Moreover the man was incapable of helping himself; he was of heavy build and was wearing a uniform greatcoat. In view of the risk to the rescuer of being crushed between the ship and the quay, Lieutenant Weeks decided that he could not order a man down. He thereupon took a line and went down himself. By this time the man was almost unconscious. Lieutenant Weeks managed to obtain a hold of his hair and by this means kept him sufficiently above water, whilst wedging himself with his back against the quay with his knees against the ship's side. During this time he was mostly under water, the temperature of which was thirty-nine degrees. He succeeded in securing a line round the man, who was hauled on deck. The man was unconscious and very nearly drowned when brought on deck, and there is no doubt that, but for Lieutenant Weeks' prompt measures, he would have lost his life. The KING has been graciously pleased to confer the Decoration of the Albert Medal upon Mr. Edgar Twidle, master, and Mr. William Francis Gordon Martin, chief officer of the steamship Bayropea, of London, and Mr. Robert MacBryde, Admiralty clerk, temporarily employed as Commodore's Secretary. On the 26th January, 1917, a series of fires and explosions occurred at Economia, port of Archangel. When Captain Twidle arrived on the scene his ship was burning fiercely. On being informed that the Chief Engineer was alive, Captain Twidle climbed on board but found that he was dead. He then examined the other rooms and found a Chinese sailor in a dazed condition. With the assistance of Mr. Martin and Mr. MacBryde this man was got over the ship's side across the ice, and eventually to the Red Cross station. About four minutes after the seaman had been removed the vessel blew up. The KING has been graciously pleased to approve of the posthumous award of the Albert Medal in Gold for gallantry in saving life at sea to Commander Francis Herbert Heaveningham Goodhart, D.S.O., R.N. 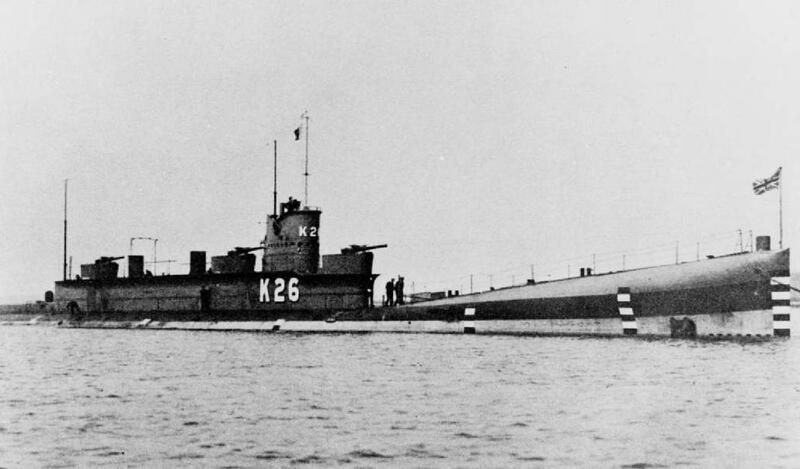 Owing to an accident, one of H.M. submarines sank and became fast on the bottom in 38 feet of water, parts of the vessel becoming flooded. After several hours the only prospect of saving those remaining on board appeared to be for someone to escape from the submarine in order to concert measures with the rescuers, who were by this time present on the surface. Commander Goodhart (commanding officer of sister-boat K.14), after consultation with the Commanding Officer, volunteered to make the attempt. Accordingly, after placing in his belt a small tin cylinder with instructions for the rescuers, Commander Goodhart went into the conning tower with the Commanding Officer. The conning tower was flooded up to their waists, and the high-pressure air was turned on; the clips of the conning tower were knocked off and the conning tower lid was soon wide open. Commander Goodhart then stood up in the dome, took a deep breath, and made his escape, but, unfortunately, was blown by the pressure of air against part of the superstructure, and was killed by the force of the blow. The Commanding Officer, whose intention it had been to return inside the submarine after Commander Goodhart's escape, was involuntarily forced to the surface by the air pressure, and it was thus rendered possible for the plans for rescuing those still inside the submarine to be carried out. Commander Goodhart displayed extreme and heroic daring in attempting to escape from the submarine in order to save the lives of those remaining on board, and thoroughly realised the forlorn nature of his act. His last remark to the Commanding Officer was: " If I don't get up, the tin cylinder will." The KING has been graciously pleased to confer the Decoration of the Albert Medal upon John David Bulmer, boatswain of the steamship Rhydwen, of Cardiff, and Private John Edward Brown, R.M.L.I. On the 31st January, 1917, while the steamship Rhydwen of Cardiff, was lying at Genoa, a fire broke out in the ship's magazine. A fire signal was immediately hoisted, but before assistance arrived Bulmer and Brown went below, unlocked, the door of the magazine and got the hose at the seat of the fire. Water was then played on the magazine and the ammunition was taken out on deck, and, owing to the prompt action of the ship's crew, the fire was extinguished. Considerable risk was incurred by Bulmer and Brown in rendering the service. The KING has been graciously pleased to confer the Decoration of the Albert Medal upon Acting Quartermaster-Serjeant James William Brown, Royal Army Medical Corps, Serjeant William Seymour, Northumberland Fusiliers, and Privates Arthur Duff Hadden Allan and James Cuthbertson, of the Royal Army Medical Corps (T.). On the morning of the 5th February, 1917, a serious explosion, followed by a fire, occurred on the French troopship St. Laurent at Malta. After some time it was observed that three men in the forepart of the ship, where the flames were fiercest, were cut off from the rest. None of the boats near would approach the ship owing to the heat and danger of a further explosion, until Acting Quartermaster-Serjeant Brown persuaded a Maltese Policeman to row him out; but when within thirty yards of the ship the Policeman refused to go further. Brown returned, and was then joined by Seymour, Allan and Cuthbertson. They rowed directly to the forepart of the ship, the sides of which were by this time red hot, while the plates were falling into the sea. When they were within a few yards of the ship two of the three men in the forepart jumped into the sea and were rescued; the third, who had climbed up the mast, was saved later when the mast fell. Artificer Engineer (now Acting Mate (E)) Edmund John Pysden, R.N. On the morning of the 27th February, 1917, one of the auxiliary stop valves in one of H.M. Ships accidentally burst, the boiler room immediately becoming filled with dense steam. In spite of the danger of burning and suffocation from steam, and of the fact that it was impossible to draw fires or at once to lift the safety valves, which rendered the possibility of a second and even worse accident highly probable, Mr. Edmund John Pysden, Artificer Engineer, R.N., made several gallant attempts to enter the stokehold, and succeeded in bringing out two men who were lying insensible on the stokehold plates, and helped to bring out others. Several of the survivors would undoubtedly have lost their lives but for the rescues effected by this officer and others. Mr. Pysden also eventually succeeded in opening the safety valve, which relieved the immediate danger of a further accident. Although he had a wet rag tied over his mouth, he swallowed a considerable quantity of live steam, and was partially incapacitated by its effects. Notwithstanding the gallant efforts of Mr. Pysden and other members of the ship's company, three men lost their lives owing to the accident and nine were seriously injured. The KING has been graciously pleased to confer the Decoration of the Albert Medal upon Private Samuel Arnold Bodsworth, Royal Army Medical Corps. On the 10th April, 1917, His Majesty's Hospital Ship Salta was sunk in Havre Roads. His Majesty's Ship Druid proceeded to render assistance and got alongside a swamped boat of the Salta. All the occupants of the boat were rescued except a Hospital Sister and Private Bodsworth. The former was so exhausted that she was unable to hold the ropes thrown to her, and eventually became unconscious. Although he might have been rescued, Private Bodsworth persisted in remaining in the boat with the Sister, and, after she had fallen overboard and been hauled back again, he finally succeeded in placing a line round her body, by means of which she was hauled on board the Druid. Very considerable risk was incurred by Private Bodsworth in rendering the service on account of the rough sea which prevailed at the time. Ernest A. Pooley, Chief Motor Mechanic, M.B. 1627. Herbert Powley, Deckhand, S.D. 1193. On the 22nd April, 1917, a violent explosion occurred on board H.M. Motor Launch 431 while she was lying alongside the jetty at the Base. The after part of the vessel was wrecked, and it at once became known that Sub-Lieutenant Charles W. Nash, R.N.V.R., was buried beneath the wreckage. Chief Motor Mechanic Pooley and Deckhand Powley, who were on board their own vessel lying at the jetty some fifty yards astern, immediately hurried to the motor launch, which was by that time burning fiercely. The flames were every instant drawing nearer to the spot where Sub-Lieutenant Nash lay buried, and it was clear that there was imminent danger of the after petrol tanks exploding at any moment. Regardless of the fact that this would mean certain death to them, Powley and Pooley jumped on board the vessel and succeeded in extricating Sub-Lieutenant Nash from beneath the wreckage and carrying him to the jetty. As they were leaving the boat the whole of the after part burst into flames, and, in all probability, had they been delayed for another thirty seconds all three would have perished. Deckhand Powley, who led the way on board the burning motor launch, had subsequently to be sent to hospital suffering from the effects of fumes. The KING has been graciously pleased to confer the Decoration of the Albert Medal in Gold upon Mr. Alfred William Furneaux, a chief steward in the Mercantile Marine. In April, 1917, the steamship in which Mr. Furneaux was serving was torpedoed by the enemy, and a Lascar, who was on the spot where certain deck plates had buckled and broken, had his legs so firmly caught between the plates that he would have gone down with the ship. Mr. Furneaux, however, went to the man's assistance and managed to get one leg out, but the other was nearly severed through above the knee. Finding it impossible to pull this leg out, Mr. Furneaux amputated it with an ordinary clasp knife and then carried the man to a boat. When in the boat he dressed the wound as well as possible, and gave the life belt he was wearing to the wounded man. Mr. Furneaux also rendered first aid in the boat to another Lascar who was badly scalded. Mr. Furneaux was in imminent danger of losing his life in rendering the service. The KING has been graciously pleased to confer the Decoration of the Albert Medal upon Mr. Alexander Mclntyre Spence, master of the steamship Shuna, of Glasgow. On the 3rd July, 1917, while the steamship Shuna was anchored in the River Seine, a fire broke out among some cases of grenades which formed part of the deck cargo. Captain Spence immediately hurried to the scene of the fire, but by the time he reached the spot the cases were well alight. With a few buckets of water he succeeded in extinguishing the fire before the first hose could be started, and he then removed the charred cases. Later on some others caught alight, but the fire was got under by means of the hose. Considerable risk was incurred by Captain Spence in rendering the service, and his action undoubtedly averted an explosion and thus saved a great many lives. On the 31st of August, 1917, during salvage operations on board the steamship Great City, the holds of which were known to be heavily charged with gas arising from decomposing grain, one of the stevedore's men noticed some pieces of wood floating towards the pump and, contrary to strict orders, went down in order to pick the wood up so as to prevent the pump from choking. While in the act of doing this, he was overcome by gas and fell into the water. Anderson, who had some time previously suffered from gas poisoning, and, therefore, knew the gravity of the risk, at once went to his assistance and succeeded in holding him up while a rope was being sent down to him, but before this could reach him he was also overcome and fell into the water. Tierney and Gale then went to the rescue, but both were also overcome. Anderson, Tierney and Gale undoubtedly lost their lives in an endeavour to save the lives of their fellow workman. On the 14th September, 1917, a seaplane collided with a Poulsen mast and remained wedged in it, the pilot (Acting Flight Commander E. A. de Ville) being rendered unconscious and thrown out of his seat on to one of the wings. The three men above mentioned at once climbed up the mast for 100 feet, when Rath, making use of the boatswain's chair, which moves on the inside of the mast, was hoisted up by men at the foot of the mast to the place, over 300 feet from the ground, where the seaplane was fixed. He then climbed out on the plane, and held the pilot until the arrival of Knoulton and Abbott, who passed the masthead gantline out to him. Having secured the pilot with the gantline Rath, with the assistance of Knoulton and Abbott, lifted him from the plane to the inside of the mast and lowered him to the ground. The three men were very well aware of the damaged and insecure condition of the mast, which was bent to an angle where the seaplane had become wedged. One of the three supports of the mast was fractured, and, so far as the men knew, the mast or seaplane might at any time have collapsed. Flight Lieutenant Edward Peverall Meggs Davis, R.N.A.S. On the 3rd October, 1917, whilst carrying out a practice flight, a seaplane, piloted by Flight Sub-Lieutenant James Douglas Grant, fell into the sea. The seaplane turned over and the pilot was enclosed in the boat under water. Flight Lieutenant Edward Peverall Meggs Davis immediately flew a seaplane to the position of the accident, made fast to the wreck, and dived under the wreck in his uniform and endeavoured to extricate Flight Sub-Lieutenant Grant. To do this it was necessary for him to dive amongst and struggle through the mass of wires and broken parts of the wreck. Notwithstanding the imminent danger of being caught up amongst them, Lieutenant Davis continued his efforts to get Flight Sub-Lieutenant Grant out, until the emergency boat arrived on the scene. No other help was at hand until the arrival of this motor boat, which at the time of the accident was about a mile and a-half away. Flight Lieutenant Davis risked his life in endeavouring to save that of his brother officer, as there was every chance of his becoming caught under water in the wires of the wreck. Mr. Alfred William Newman, Acting Mate, R.N. On the 10th October, 1917, an alarm of fire was given in the after magazine of one of H.M. Ships. Mr. Alfred William Newman, Acting Mate, R.N., who was on the upper deck, proceeded to the magazine as soon as he heard the alarm, and, seeing smoke issuing from a box of cordite, opened the lid and passed the cartridges on to the upper deck, where they were thrown overboard. One cartridge in the middle of the box was very hot, and smoke was issuing from the end. It is considered that, by his prompt and gallant action, Mr. Newman saved the magazine from blowing up and the loss of many lives. (1) The KING has been graciously pleased to approve of the posthumous award of the Albert Medal in gold for gallantry in saving life at sea to Lieutenant-Commander (acting Commander) Tom Kenneth Triggs, R.N., and of the Albert Medal for gallantry in saving life at sea to Able Seaman William Becker, O.N. J. 5841. On the 6th December, 1917, the French steamer Mont Blanc, with a cargo of high explosives, and the Norwegian steamer Imo, were in collision in Halifax Harbour. Fire broke out on the Mont Blanc immediately after the collision, and the flames very quickly rose to a height of over 100 feet. The crew abandoned their ship and pulled towards the shore. The Captain of H.M.S. Highflyer, which was about a mile away, at once sent off a boat to see if anything could be done to prevent loss of life, and Commander Triggs, volunteering for this duty, immediately got into the ship's whaler and pulled to the scene. A tug and the steamboat of H.M.C.S. 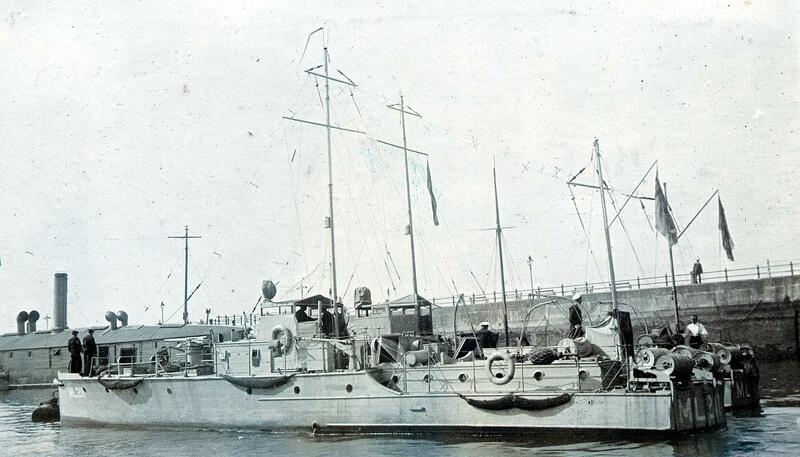 Niobe (above - prewar, transferred to RCN in 1910 (MQ/Anton)) were seen going there at the same time. Commander Triggs boarded the tug, and finding it was impossible to do anything for the Mont Blanc, decided to endeavour to get the Imo away, giving directions accordingly to the tug. He returned to the whaler, and was pulling towards the bows of the Imo, which was about 300 yards from the Mont Blanc, to pass a line from her to the tug, when a tremendous explosion occurred. Of the seven people in the whaler, one, Able Seaman Becker, was rescued alive on the Dartmouth shore, whither he had swum; the remainder perished. It is clear that after communication with the tug, Commander Triggs and the rest of the boat's crew were fully aware of the desperate nature of the work they were engaged in, and that by their devotion to duty they sacrificed their lives in the endeavour to save the lives of others. (2) The KING has further been graciously pleased to approve of the award of the Albert Medal for gallantry in saving life at sea to Leading Seaman Thomas N. Davis, O.N. J.I8334 (Dev. ), and Able Seaman Robert Stones, O.N. J.29998 (Dev.). On the 6th December, 1917, the French steamer Mont Blanc, with a cargo of high explosives, and the Norwegian steamer Imo, were in collision in Halifax Harbour. Fire broke out on the Mont Blanc immediately after the collision, and the flames very quickly rose to a height of over 100 feet. The crew abandoned their ship and pulled to the shore. A few minutes later a, tremendous explosion took place, and the tug Musquash was seen to be on fire forward. The fire was increasing, and there appeared to be a great danger of her getting adrift, and being carried down on to another vessel. As the Musquash had a gun and ammunition on board there was danger of a further explosion and consequent loss of life. The Captain of H.M.S. Highflyer (above - 2nd-class cruiser sister ship HMS Hyacinth (NP)) hailed a private tug and asked her to take the Musquash in tow, but as they were unwilling to board the Musquash to get her in tow, the tug was brought alongside H.M.S. Highflyer. Leading Seaman Davis and Able Seaman Stones immediately volunteered, and having been transferred by the tug to the burning Musquash, which had by this time broken adrift, they secured a line from her stern, by means of which she was towed into midstream. The line then parted, and Davis and Stones passed another line from the Musquash to the pumping lighter Lee, which had now arrived. They then both went forward to the burning part, and succeeded in getting to the ammunition, which was by this time badly scorched, pulled it away from the flames and threw it overboard. They then broke open the door of the galley, which was on fire inside, to enable the Lee to play her hoses into it. They repeated the same thing with the cabin. By their work they made it possible to subdue the fire and save further damage and loss of life. At any moment whilst they were on board the Musquash the ammunition might have exploded. Leading Seaman Davis subsequently exchanged Albert Medal for George Cross. On the 29th December, 1917, some cotton waste, which had been stored in a wooden cupboard in the Magazine of H.M. Motor Launch No. 289, caught fire from an unknown cause. On the fire being discovered by the smell of burning and by the issue of smoke from the Magazine hatch, when opened, Deckhand Stanners, without hesitation, went down into the Magazine and brought up a quantity of the burning waste. Leading Deckhand Bugg, who was in Motor Launch No. 285, alongside No. 289, smelt something burning, and on observing Deckhand Stanners coming up from the Magazine with burning material, immediately went down and extinguished the remainder of the ignited cotton waste. The promptitude of action and the high courage shown by these men in the face of very grave danger averted a serious fire, and in all probability saved both Motor Launches and the lives of those on board. Deckhand Stanners subsequently exchanged Albert Medal for George Cross. On the 28th February, 1918, a Seaplane got out of control and spun to the ground. Acting Flight Commander Robertson, the Observer, jumped from the machine just before it reached the ground and landed safely, as the ground was marshy. The Pilot, Flight Lieutenant. H. C. Lemon, was imprisoned in the Seaplane, which, on striking the ground, immediately burst into flames, and notwithstanding that the vicinity of the Seaplane was quickly a furnace of blazing petrol, and that heavy bombs, a number of rounds of ammunition, and the reserve petrol tank were all likely to explode, Acting Flight Commander Robertson returned and endeavoured to extricate the Pilot, and only desisted when he had been so severely burned in the face, hands and leg that his recovery was for some time in doubt. He displayed the greatest gallantry, self- sacrifice and disregard of danger in his efforts to extricate the Pilot. Subsequently exchanged Albert Medal for George Cross. On the occasion of an accident to one of His Majesty's Airships, which resulted in a fire breaking out on board her, Flight Lieutenant Watson, who was the senior Officer on the spot, immediately rushed up to the car of the airship under the impression that one of the crew was still in it, although he was well aware that there were heavy bombs attached to the airship which it was impossible to remove owing to the nearness of the fire, and which were almost certain to explode at any moment on account of the heat. Having satisfied himself that there was in fact no one in the car, he turned away to render assistance elsewhere, and at that moment one of the bombs exploded, a portion of it shattering Lieutenant Watson's right arm at the elbow. The arm had to be amputated almost immediately. Air Mechanic H. V. Robinson and Boy Mechanic E. E. Steere, on the occasion of an accident to one of His Majesty's airships which caused a fire to break out on board her, approached the burning airship without hesitation, extricated the pilot and two members of the crew, all of whom were seriously injured, and then unclipped the bombs from the burning car and carried them out of reach of the fire. As the bombs were surrounded by flames, and were so hot that they scorched the men's hands as they carried them, they must have expected the bombs to explode. The KING has been graciously pleased to award the Decoration of the Albert Medal in recognition of the gallant action of Trooper James Werner Magnusson, New Zealand Mounted Rifles, in saving life on the occasion of the loss of a Transport. Magnusson, who was on the deck of the Transport, saw an injured soldier struggling in the water, and immediately dived overboard, although there was a very rough sea, swam to his assistance, and succeeded in placing him in a boat. Magnussen then returned to the sinking ship and rejoined his unit. His life was lost. The KING has been graciously pleased to make a posthumous award of the Decoration of the Albert Medal in recognition of the gallantry of Mr. David Falconer, Chief Engineer of the Steamship War Knight of London. On the 24th March, 1918 the British S.S. War Knight was proceeding up Channel in convoy, in company with the United States Oil Carrier O. B. Jennings. About 2.30 a.m. the War Knight struck the other vessel on the starboard side abreast the bridge. Flames and fumes of naphtha appear to have spurted out of the O. B. Jennings, rushed the whole length of the War Knight, and set her on fire. The after part of the O. B. Jennings also was soon burning furiously and the ship's swung together, the War Knight being to leeward of the O. B. Jennings and consequently completely enveloped in the smoke, fumes and flames from the weather ship. Immediately after the collision flames swept across the top of the engine-room through the open skylight. Mr. Falconer stood in the flames and shut the skylights down to prevent the fire-from entering the engine-room. Later on, when the third engineer and a fireman, who had remained below, made their way on deck, the former was severely burnt and gassed, and Mr. Falconer dragged both men to a place where there were less flames and fumes, and then put them into the engineers' messroom with others whom he had collected from their bunks, and by breaking the skylight he assisted them all to get on the boat deck. Finally, although he could not swim, he took off his own lifebelt and put it on the third engineer, and did not leave the ship until he was satisfied that there were no others in need of assistance. Mr. Falconer displayed the greatest gallantry in rendering these services; but he was so injured that he subsequently succumbed in hospital. The KING has been graciously pleased to make a posthumous award of the Decoration of the Albert Medal in recognition of the gallantry of Reginald Curtis Clayton, an apprentice in the Mercantile Marine. In March last the steamship in which Mr. Clayton was serving was in collision, and a serious fire broke out on board. Mr. Clayton was aft, where the accommodation for the crew was situated. It was his fire-station duty to stand by the flood valve of the magazine; and, in spite of the whole of the deck being in flames, he groped his way through the fire, found the valve, and turned it on to flood. He received such severe injuries that he succumbed in hospital four days later. Those of the crew who survived no doubt owed their lives to the flooding of the magazine. The London Gazette 20 August 1918. The KING has been graciously pleased to approve of the award of the Albert Medal for Gallantry in Saving Life at Sea to Lieutenant-Commander Keith Robin Hoare D.S.O., D.S.C., R.N.V.R., and Lieutenant Arthur Gerald Bagot, D.S.C., R.N.V.R. On the 12th April, 1918, an explosion took place in the engine-room of H.M. Motor Launch 356, and the forward tanks burst into flame. The Officer and some of the crew were blown overboard by the explosion, and the remainder were quickly driven aft by the flames, and were taken off in a skiff. By this time the flames were issuing from the cabin hatch aft, and there was much petrol burning on the surface of the water. It was then realised by the crews of adjacent vessels that the aft petrol tanks and the depth charge were being attacked by the fire, and might explode at any moment. At the moment when others were running away, Lieutenant Hoare and Sub-Lieutenant Bagot jumped into their dinghy, rowed to the wreck, got on board, and removed the depth charge, thereby preventing an explosion which might have caused serious loss of life amongst the crowd of English and French sailors on the quay. The KING has been graciously pleased to approve of the award of the Albert Medal for gallantry in saving life at sea to Commander Walter Henry Calthrop Calthrop, R.N. 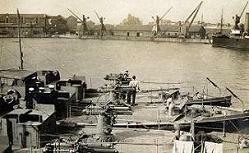 On the night of the 14th/15th April, 1918, a fire broke out on board the S.S. Proton, an ammunition ship, at Port Said. Commander Calthrop, on being informed on the telephone that the ship was on fire, immediately proceeded to the scene. The ship had already been abandoned by her crew, and was ablaze in Nos. 1 and 2 holds. The forecastle was also alight, and it was impossible to get down to the fore well deck owing to the heat of the flames. Knowing that the Proton had 240 tons of ammunition on board, Commander Calthrop decided to endeavour to flood the ship, and for this purpose obtained assistance and went down into the engine-room and opened the sea inlet. He also tried to break the main sea valve cover, but was not successful in this. He accordingly sent for a gun-cotton charge for the purpose of sinking the ship, and warned all ships in the vicinity to get under weigh. He then returned to the Proton, which was now blazing fiercely forward, the sides being red hot as far aft as the bridge, and the bridge screen all alight. He again boarded her with the first and second engineers and went below, trying to break the doors of the condenser with sledge hammers. After about five minutes this was found to be impossible, and they returned on deck. By this time a picket boat had arrived with the gun-cotton charge, and it was decided that the ship ought to be sunk as soon as possible. This operation was accordingly carried out. Commander Calthrop displayed the utmost gallantry and disregard of his own personal safety in making protracted efforts, first to flood and then to sink the ship, whilst exposed to continual risk of an explosion of the ammunition on board. His efforts undoubtedly prevented serious loss of life. The KING has been graciously pleased to make a posthumous award of the Decoration of the Albert Medal in recognition of the gallantry of Hugh Brown, Boatswain of the steamship Orissa of Liverpool. On the 25th June, 1918, the ship was torpedoed and sunk in the North Atlantic Ocean, six lives being lost. The explosion took place about twenty feet from the store-room, where some members of the crew, including Brown and his son, who was the Steward's Boy, were receiving their tobacco issue. The store-room was immediately flooded, but the Boatswain and his son were able to fight their way to the stairway leading to the weather deck, the bottom stairs of which were blown away. The boy managed to reach the weather deck, but Brown, then heard the Storekeeper, who was still in the flooded store-room, calling for help. As soon, therefore, as he had been assured of his son's safety, Brown wished the lad farewell, and, though he could probably have saved himself together with his son, turned back in the hope of assisting the Storekeeper. The water was continually rising, and Brown must have been aware that he had very little chance of being able to win his way to the deck a second time. The ship sank not long after, and neither the Boatswain nor the Storekeeper was seen again. The KING has been graciously pleased to approve of the award of the Albert Medal for Gallantry in Saving Life at Sea to Commodore Sir James Startin, K.C.B., R.N.R. (Admiral, retired). The KING has been graciously pleased to approve the award of the Albert Medal for gallantry in saving life at sea to John Allan, Donkeyman, M.M.R., No. 942760. As the R.F.A. 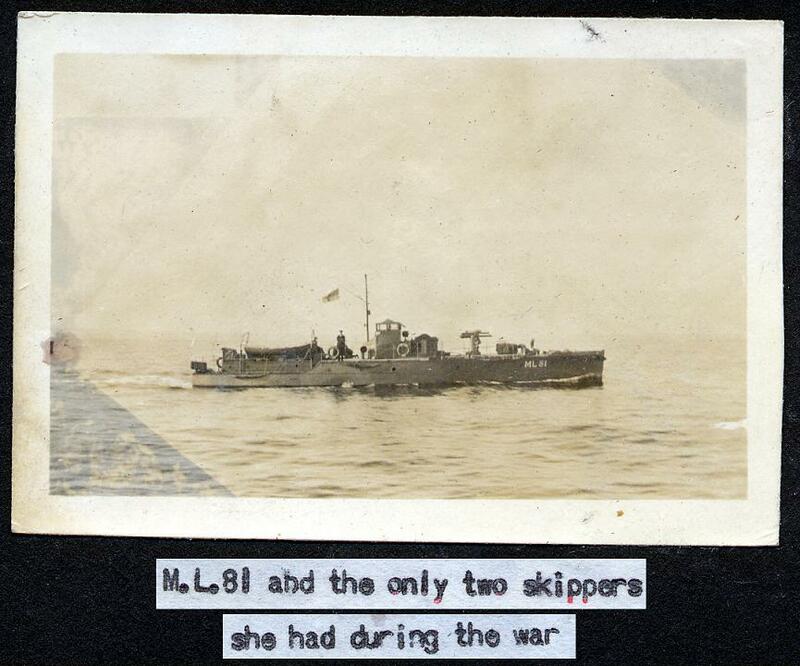 Mixol was dropping alongside to fuel one of H.M. Battle Cruisers on the 19th June, 1918, an Able Seaman slipped and fell overboard between Mixol and the Cruiser; Mixol was only about ten feet clear of the Cruiser, and was closing at the time. Donkeyman John Allan, who was standing on the fore well deck of Mixol, saw the man fall and that he was struggling in the water. Although it was clear that the man in the water was in imminent danger of being crushed between the two ships, Allan at once jumped overboard in the clothes he was wearing to save him. He assisted the Able Seaman to keep afloat until a rope was thrown, which he gave to him, the Able Seaman being hauled on board before Allan took the rope himself. The ship was in an open anchorage, and the temperature of the water was 50°. Surg.-Lieut. William Fryer Harvey, R.N. 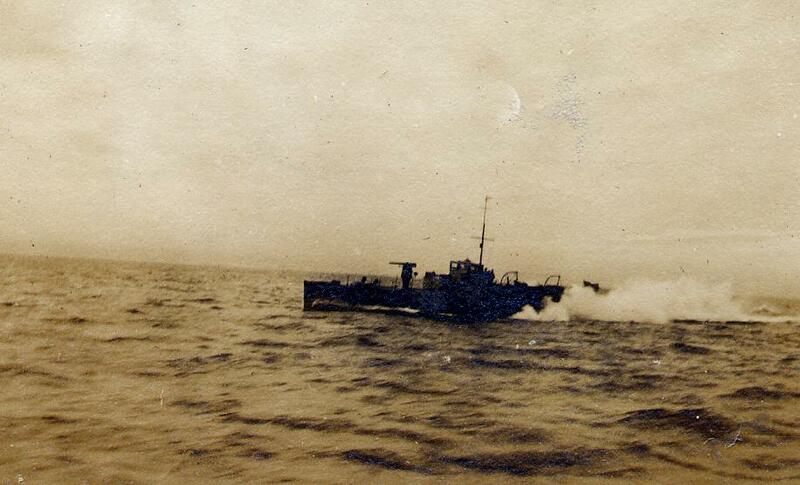 On the 28th June, 1918, two of H.M. torpedo-boat destroyers were in collision, and Surg.-Lieut. Harvey was sent on board the more seriously damaged destroyer in order to render assistance to the injured. On hearing that a stoker petty officer was pinned by the arm in a damaged compartment, Surg.-Lieut. Harvey immediately went down and amputated the arm, this being the only means of freeing the petty officer. The boiler-room at the time was flooded, and full of fumes from the escaping oil. This alone constituted a great danger to anyone in the compartment, and Surg.-Lieut. Harvey collapsed from this cause after performing the operation, and had to be hauled out of the compartment. Moreover, at any time the ship might have broken in two and all hands were fallen in on deck, wearing lifebelts, at the time, in order to be ready for this eventuality. Surg.-Lieut. Harvey displayed the greatest gallantry and disregard of his personal safety in descending into the damaged compartment and continuing to work there amidst the oil fumes at a time when the ship was liable to sink. On the 29th June, 1918, an outbreak of fire occurred on board Motor Launch No. 483 whilst refuelling alongside the jetty at Pembroke Dock, the fire being caused by the ignition of an overflow of petrol from the hose. Leading Seaman Millar, H.M.S. P.C. 51, who was walking up and down the forecastle of his ship, on seeing the flames break out on the upper deck of the motor launch, immediately slid over the bows of his craft on to the motor launch, rushed aft, and removed the primers of the depth charges. He then forced his way through the flames and kicked the hose overboard, getting his clothes ignited as he did so. Having extinguished his burning clothing by jumping overboard, he climbed inboard again and assisted in getting the motor launch in tow. This man displayed initiative and disregard of danger, and by his prompt action he probably averted a serious accident. Had the depth charges detonated, very great damage would have been done and lives undoubtedly lost. The KING has been graciously pleased to approve of the award of the Albert Medal for gallantry in saving life at sea to Commander Henry de Beauvoir Tupper, R.N., and Able Seaman Edward Thomas Spalding, O.N. J55883 (Ch.). On the 4th August, 1918, H.M.S. Comet, under the command of Commander Tupper, was seriously damaged in collision. The ship was badly holed on the starboard side, the deck and all compartments eventually filled with water as far as the engine-room bulkhead, and the stern was at any moment liable to fall off. On being informed that the hydraulic release depth-charge was set to fire, Commander Tupper sent away a man in a whaler to remove the primer. It was only possible to remove the primer from one of the charges, leaving the other depth-charge about 15 feet under water, still at ''fire.'' Commander Tupper then went away in a dinghy himself, and by repeated diving operations tried to render it safe. After a rest he returned to complete the operation, in which Able Seaman Spalding, who was a passenger on the ship at the time and was a good swimmer, volunteered to assist. Commander Tupper at first refused to allow Spalding to assist him, as the latter had no knowledge of depth-charges, and Commander Tupper did not consider it safe for him to go down. Ultimately Commander Tupper and Able Seaman Spalding swam to the spot beneath which the depth-charge was submerged, and alternately gave a turn to the iron bar which Commander Tupper had placed in the handle, until the primer was eventually unscrewed and taken out of the depth-charge, thus rendering it safe. This operation was of the most dangerous nature, as at any moment the stern of the ship might have dropped off before the depth-charge was removed and would have carried down both the officer and the man, who would have inevitably lost their lives. The explosion would also have destroyed the remaining portion of the ship, with loss of life to those of the crew who were on board. The KING has been graciously pleased to award the Decoration of the Albert Medal upon Mr. Charles McKenzie, a chief officer in the Mercantile Marine. A violent explosion, followed by a fire, occurred in one of the holds of the steamship in which Mr. McKenzie was serving, which had a cargo of petroleum and case oil. Four men were in the hold at the time, and received serious injuries. Mr. McKenzie, who was on duty at the top of the hold, immediately rushed down, regardless of the possibility of further explosions, found the ship's carpenter, and assisted him to a sling, by means of which the man was hauled up on deck. Mr. McKenzie then searched the hold again and rescued a seaman in the same way. Both men, however, subsequently died of their injuries. Mr. McKenzie also found the third man, who was badly burnt, and assisted him to mount the ladder. The fourth man managed to escape by his own exertions. The KING has been graciously pleased to make a posthumous award of the Decoration of the Albert Medal in recognition of the gallant conduct of Mr. Robert Coulson, a second engineer in the Mercantile Marine. The steamship in which Mr. Coulson was serving was struck by a torpedo in the stokehold. The engine-room became full of escaping steam, and Mr. Coulson and the fourth engineer were seriously scalded. Instead of making for safety, however, Mr. Coulson, in spite of his injuries, carried the fourth engineer, who was in a helpless condition, up the engine-room ladders to the top platform, out of immediate danger of steam and the inrush of water, and he then himself became exhausted. The chief engineer, who had run to the engine-room from the bridge, assisted both the injured men out of the engine-room, and with help managed to get them into a lifeboat After being landed they were taken to hospital, where both succumbed to their injuries. Sub-Lieutenant David Hywel Evans, R.N.V.R. Able Seaman Edward Nunn, O.N. J.15703. On the 16th September, 1918, a serious explosion occurred amidships on board H.M.S. Glatton whilst lying in Dover Harbour. This was followed immediately by an outbreak of fire, the oil fuel burning furiously and spreading fore and aft. Efforts were made to extinguish the fire by means of salvage tugs. The foremost magazines were flooded, but it was found impossible to get to the after magazine flooding positions. The explosion and fire cut off the after part of the ship, killing or seriously injuring all the officers who were on board with one exception. The ship might have blown up at any moment. Lieutenant Belben, Sub Lieutenant Evans, Petty Officer Stoker, and Able Seaman Nunn were in boats which were rescuing men who had been blown, or who had jumped, overboard. They proceeded on board H.M.S. Glatton on their own initiative, and entered the superstructure, which was full of dense smoke, and proceeded down to the deck below. Behaving with the greatest gallantry and contempt of danger, they succeeded in rescuing seven or eight badly injured men from the mess deck, in addition to fifteen whom they found and brought out from inside the superstructure. This work was carried out before the arrival of any gas masks, and, though at one time they were driven out by the fire, they proceeded down again after the hoses had been played on the flames. They continued until all chance of rescuing others had passed, and the ship was ordered to be abandoned, when she was sunk by torpedo, as the fire was spreading, and it was impossible to flood the after magazines. Surgeon Lieutenant-Commander Edward Leicester Atkinson, D.S.O., R.N. On the 16th September, 1918, a serious explosion occurred amidships on board H.M.S. Glatton whilst lying in Dover Harbour. This was followed immediately by an outbreak of fire, the oil fuel burning furiously and spreading fore and aft. Efforts were made to extinguish the fire by means of salvage tugs. The foremost magazines were flooded, but it was found impossible to get to the after magazine flooding positions. The explosion and fire cut off the after, part of the ship, killing, or seriously injuring all the Officers who were on board with one exception. The ship might have blown up at any moment. At the time of the explosion Surgeon Lieut. - Commander Atkinson was at work in his cabin. The first explosion rendered him unconscious. Recovering shortly, he found the flat outside his cabin filled with dense smoke and fumes. He made his way to the quarter deck by means of the ladder in the Warrant Officers flat, the only one still intact. During this time he brought two unconscious men on to the upper deck, he himself being uninjured. He returned to the flat, and was bringing a third man up, when a smaller explosion occurred whilst he was on the ladder. This explosion blinded him, and, at the same time, a piece of metal was driven into his left leg in such, a manner that he was unable to move until he had himself extracted it. Placing the third man on the upper deck, he proceeded forward through the shelter deck. By feel, being totally unable to see, he here found two more unconscious men, both of whom he brought out. He was found later on the upper deck in an almost unconscious condition, so wounded and burnt that his life was despaired of for some time. The KING has been graciously pleased to approve of the award of the Albert Medal for gallantry in saving life at sea to Actg. Lieut. Harry Melville Arbuthnot Day, R.M.L.I. On the 9th November, 1918, H.M.S. Britannia was torpedoed by an enemy submarine. The explosion of the torpedo was followed by another and more violent explosion of ammunition, and fires were started, resulting in the spread of smoke and fumes. Shortly after the explosion Lieutenant Day went down to the ward room, to search for wounded. He heard groaning forward of the ward room, but found that the heavy wooden door leading forward had jammed and was immovable. He then burst open the trap hatch to the ward room pantry and climbed through it. He discovered Engineer Lieutenant Stanley F. Weir, R.N., and a ward room steward alive and conscious, but unable to move. Fearing that he would hurt them if he endeavoured to drag them through the trap hatch single-handed, he climbed back into the ward room aft and up on to the quarter-deck and procured two or three stokers, with whom he returned to the ward room, and eventually carried the dying officer and man on deck and to the forecastle. During his first visit to the ward room, Lieutenant Day was alone, in the dark, the ship with a list, and fire close to the 12in magazine. Whilst carrying out this rescue work he inspected all scuttles and deadlights in the ward room (and cabins before it) and ascertained that all were properly closed before leaving. The cordite fumes were very strong, and his life was in danger throughout. His courage and resource were beyond praise. The KING has been graciously pleased to confer the Decoration of the Albert Medal upon Christopher Feetham, fireman, of the steamship Hornsey, of London. On the 10th November last, while the s.s. Hornsey was lying at Sunderland, a fire broke out in the mess-room and adjoining saloon. A quantity of ammunition was on board, and there was accordingly a great risk, if it exploded, of loss of life and property, as the effects of the explosion would probably not have been confined to the shipping in the harbour, but would have spread to the quay. The whole of the ship's company behaved admirably in the emergency; and the Master, Chief Engineer, Second Mate, Steward and one of the Gunners did exceptionally well in their efforts to get the fire under. The decisive factor, however, in extinguishing it and saving life and property was the heroism of Feetham. He volunteered to be let down into the cabin, and there, waist-high in water, he was able to direct his hose on to that part of the fire which would have exploded the ammunition in a very short time. As it was, some of the ammunition cases were already scorched. It was at the greatest risk of his own life that, after a long series of attempts, in conjunction, with other members of the crew, at extinguishing the outbreak, he went down alone to make a last effort, which happily was successful, and he undoubtedly saved a very large number of lives by his exceptional courage. On the 4th February, 1919, H.M.S. Penarth struck a mine and immediately began to sink. Lieutenant David Wainwright, taking command of the situation, at once superintended the manning and lowering of the starboard gig, and later the launching of the Carley floats. Hearing there was a stoker injured in one of the stokeholds, he called for volunteers to show him the way, and at once made his way forward. There was by now a heavy list on the ship, and it was apparent she would not remain afloat much longer, the upper deck on the starboard side being already awash. Lieutenant Wainwright made his way below unaided, and while he was in the stokehold the ship struck a second mine abaft of him. The forepart was blown off and sank, and he was forced to wait till the stokehold had filled before he could float to the surface up the escape. He displayed the greatest gallantry and disregard, of his own personal safety in going below at a time when the ship was liable to sink at any moment. The KING has been graciously pleased to approve of the award of the Albert Medal to Lieutenant-Commander Richard James Rodney Scott, R.N., for gallantry in endeavouring to save life at sea. On the 15th July, 1919, during minesweeping operations in the Baltic, four mines were swept up which H.M.S. Myrtle, commanded by Lieutenant-Commander Scott, and another vessel were ordered to sink. During the operations the two vessels were mined, and H.M.S. Myrtle immediately began to sink. So great was the force of the explosion that all hands in the engine room and after boiler room of the ship were killed with one exception, and many others of the crew were wounded. After the wounded had been successfully transferred to another vessel, the forepart of H.M.S. Myrtle broke away and sank. Lieutenant-Commander Scott, hearing that the fate of one of the crew of the Myrtle had not been definitely ascertained, gallantly returned alone to what was left of the ship, which was drifting through the minefield, rolling heavily and burning fiercely, and regardless of the extreme risk which he ran, made a thorough search for the missing man, unfortunately without success.